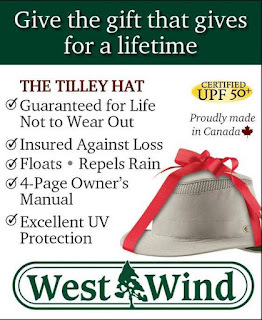 The Tilley Hat. A classic. For the traveler, golfer, adventurer or man about town. 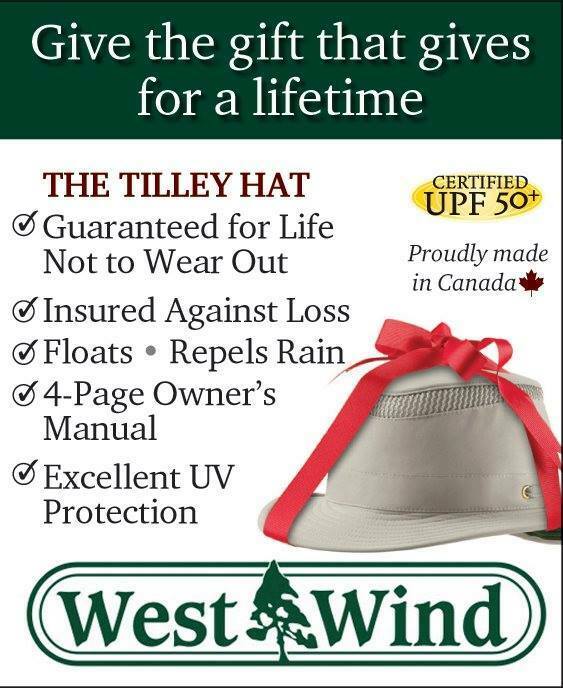 Made in Canada, insured against loss, guaranteed for life. What more can you ask for? Available in Bancroft exclusively at West WInd.